In 1984 the world changed. Heralded with an iconic Super Bowl commercial riffing Big Brother, and featuring a sporty blonde with a hammer looking to shatter the status quo, the Apple Mac computer ushered in a new era of intuitive personal computing built on the world’s first mass-market graphical user interface. The idea that you didn’t need to know DOS or even a single line of command code to harness the power of the computer was revolutionary at the time—and it’s this idea that we celebrate on World Mac Day, Jan. 24, the official launch date of the Macintosh 34 years ago. Steve Jobs presented his idea to Apple investors back in 1982, evangelizing a platform that would support tightly integrated libraries of third-party software that enabled users to do useful things by pointing and clicking a “mouse.” When it launched two years later, with its emphasis on the graphical elements of computing, desktop publishing and office productivity apps soon became the Mac’s forte (ironically, Microsoft’s Word and Excel programs were originally developed in tight collusion with Apple), justifying its premium price tag among an elite set of users. Today, the Mac remains an icon, and while Windows machines have overtaken the platform in terms of volume, Apple’s OS continues to win a loyal following, and the company continues to do things a bit differently. Star2Star has embraced the Mac platform to deliver VoIP and Unified Communications (arguably sea-change breakthroughs that have changed the world of computing forever as well) with all of the features you would expect. VoIP (Voice over Internet Protocol) is a term used to describe a group of technologies that are used to connect and deliver voice telephone calls over the Internet instead of using dedicated telephone circuits. They also share a data network with other computing devices, but the Star2Star architecture ensures call quality even in this environment, thanks to an end-to-end approach that controls both ends of the call path, including automatic prioritization for voice packets over data packets. 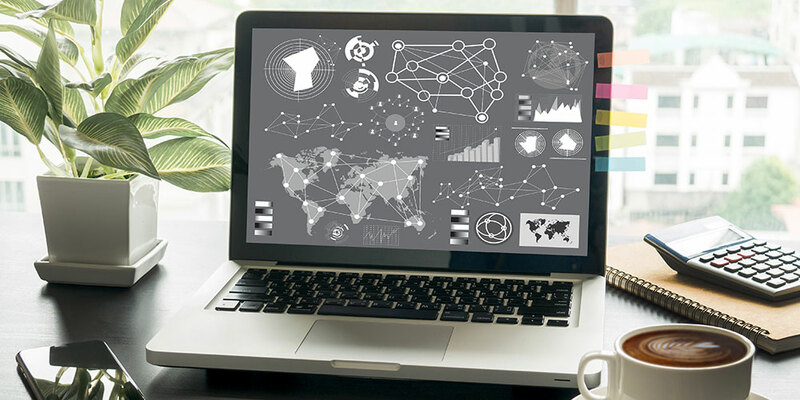 Star2Star’s fully integrated, end-to-end Business Grade VoIP solution combines purpose-built hardware, custom engineered 24/7 monitoring and management, and dedicated network operations centers offering year-round, real-time support. 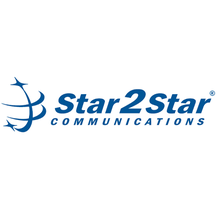 The Star2Star system also uses a proprietary on-premise StarBox® Voice Optimized SD-WAN solid-state device, which gathers information about the phone system and the network that the system uses to prioritize phone calls while minimizing impact on regular data traffic. And yes, it’s Mac-optimized. StarPhoneTM for Desktop is a stand-alone Star2Star application that allows calls to be received and sent over the internet using a computer desktop screen. It’s a multifunctional, easy-to-use application capable of handling multiple calls, redialing, call hold, voicemail, call pickup and call transfer. It supports Mac users with advanced native logging feature to log/capture information for troubleshooting purposes, Macintosh sleep and wake-up enhancements and more. Graphics have always been Apple’s thing—and we make sure that Mac users aren’t left out when it comes to integrating high-quality video into their communications landscape. The StarVideoTM feature allows up to 12 users to participate in a real-time videoconference (with up to 150 additional users connected to an audio-only conference). StarVideoTM provides a cost-effective, high-quality alternative to dedicated videoconference solutions, yet requires only an inexpensive webcam attached to your Mac to operate. StarVideoTM includes whiteboarding and text chat features that allow participants to view and comment on a document, and to conduct sidebar discussions via text chat. It also supports non-Star2Star users, who can click on an invite link to open a new browser window where they can participate. StarVideoTM supports Mac, PC, and hybrid environments seamlessly. With an increasingly mobile workforce, companies are allowing employees to bring their own devices when it comes to remote working. For iPhone users, the Star2Star mobile phone client combines a full-featured IP telephone application with advanced presence and voicemail tools. This easy-to-use softphoneallows users to place and receive calls using your company’s Star2Star telephone system. It integrates with the iPhone Contacts list, and calls can be placed over Wi-Fi and 3G/4G networks. It also uses the native iPhone push notification capability to send information to the phone via a badge, alert, or pop-up message when the app is not in use. In addition, it doesn’t matter if you have an iPhone for mobility and a Windows PC for desktop—our system handles these hybrid configurations seamlessly, offering the same set of features across platforms, with integrated UC functionality.